For a limited time, this book is FREE on Amazon. It is a frightening tale of spiritual warfare that will put you in mind of Ted Dekker or Frank Peretti–and you’ll find no obscenity or sexual content. It starts with a school shooting. It ends with the return of an evil as ancient as the skeleton of the universe. In the middle, normal garden-variety people must figure out how to live their everyday lives—how to survive!—after they discover that all those Bible stories about demons and angels…they’re true. When the hot call comes over the radio: “Code Red! Active shooter at Carlisle Elementary School,” Police Sergeant Jack Carpenter has only one job: find the gunman; take him out. Carpenter rushes into the school, fully armed and focused on cold, hard reality. But what happens to him in the next few hours shatters the world as he has always known it. And in the next three days, everything Jack Carpenter believes about himself, about life and reality, about good and evil and the whole nature of the universe will be challenged. Can it possibly be true—seriously?—that invisible demons prowl among us every day? That there exists in the real world a winged creature more horrifying than any Hollywood-animated, computer-generated, mechanical unreality? And that the single-minded mission of that beast—a creation of absolute, soul-less evil—is to kill Jack Carpenter? Bottom line: it flat-out cannot possibly be true. 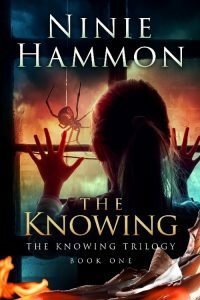 In this first book in The Knowing Trilogy, award winning journalist and bestselling Christian suspense and thriller author Ninie Hammon begins a sprawling tale of spiritual warfare that spans a quarter of a century. If you enjoy sleep-with-the-lights-on suspense coupled with characters so lifelike they’ll feel like family, The Knowing will open up for you a world you probably don’t want to believe is real. But it is. 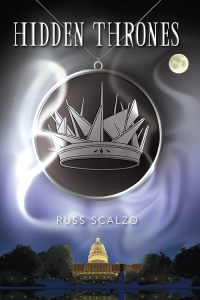 A new award winning series from author Russ Scalzo. A supernatural thriller. A titanic clash between good and evil. Jack Bennett has an unusual gift. His coveted ability means he is the FBI’s newest hire, serving as a consultant for their new Paranormal Division. The government is convinced we are not alone in this world. With invisible forces all around, agencies are seeking how to harness that power for their own uses. The mystery swirling around the unseen and unknown has caused much speculation. Some suppose lost souls are wandering the earth, others believe deceased loved ones never truly moved on, and still there are those who are convinced that aliens have infiltrated our world. Jack Bennett knows better. He knows who and what these powers are. The ancient scriptures talk about a great evil that was conceived in the depths of eternity. There, a great war occurred in a place called Heaven. Lucifer, the ancient serpent, the evil dragon of folklore, was cast out and bound to the earth and confined to its surrounding atmosphere. Could it be that the evil we see is inspired by a dark kingdom, a demonic spiritual force at war with the human race? Could these princes and rulers of darkness be influencing our world today? Jack Bennett knows this is the truth. He knows because he encounters them every day. 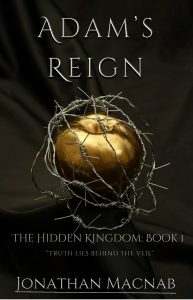 Follow Jack Bennett in the first of a five part series as he battles the realm of Hidden Thrones. “Spirit-filled fiction in a political thriller, what a treat!” David Bergsland of Reality Calling.